This woman definitely wasn’t practicing Active Self Protection, but her mugging at least teaches us some important lessons to keep ourselves safe. 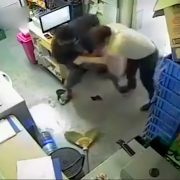 How would you have protected yourself in her situation? How do I protect myself from a mugging? 1. 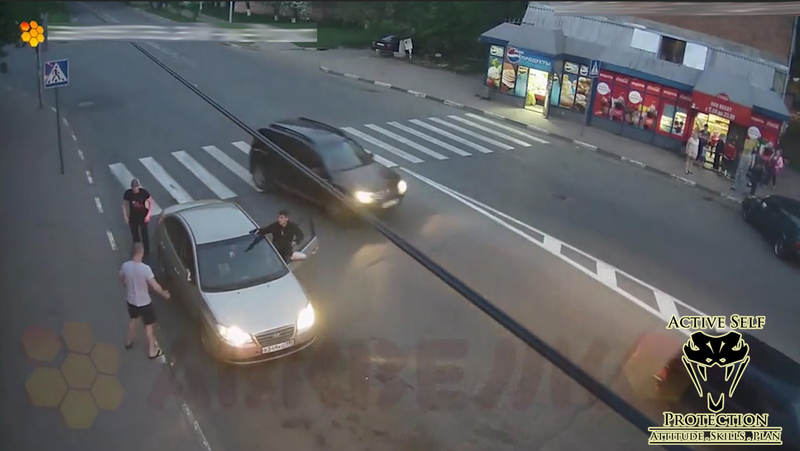 The main lesson in this video is situational awareness. When you’re in public you must be aware of your surroundings and do appropriate threat assessment of anyone else you encounter. 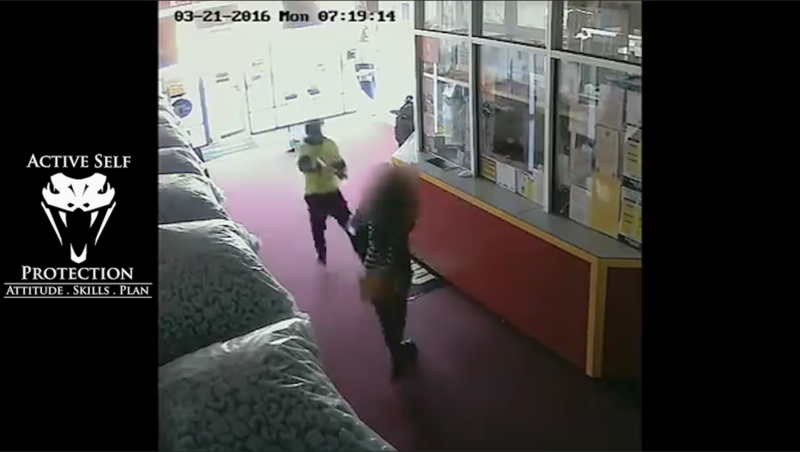 This mugging was telegraphed a long way away, but she walked into it because she wasn’t doing any threat assessment and wasn’t aware of her surroundings at all. We must be better than that! 2. Your car becomes a transitional space every time you get in or out of it. Remember, a transitional space is any location that (1) allows attackers to prey on potential victims with an element of surprise and (2) provides ready escape for the attackers. Because we are often preoccupied when entering or exiting the vehicle, the car becomes an easy place for attack. When you’re approaching transitional spaces, you need to be MORE aware and ready for what might come your way. 3. 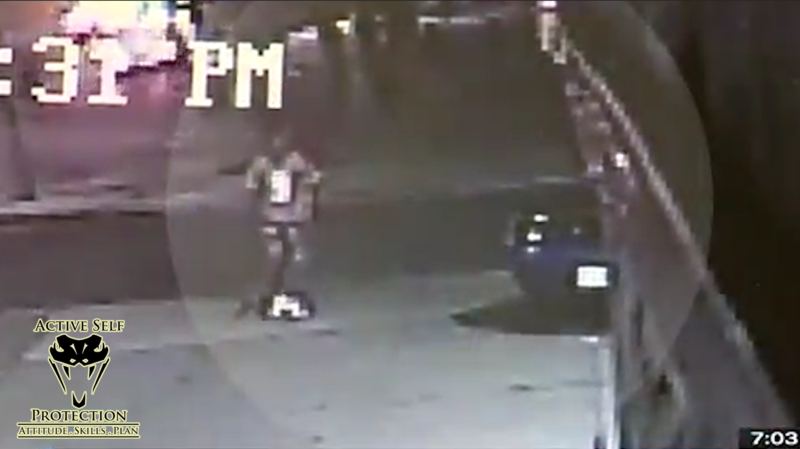 This woman might have been able to see this mugging coming from as much as 25 yards away. The earlier you see the potential problem, the more options you have to protect yourself! 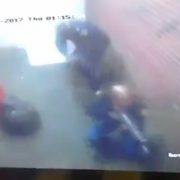 Had she seen the potential mugging coming from 25 yards she could have stopped with her child and avoided it entirely. As she approached the vehicle and saw it, she could have responded definitively at about 7 yards and had lots of options to use her voice or get to her force multiplier. But when she saw it as he attacked her, she had almost no options at all. 4. You should practice hand-fighting with a purse on you or a bag slung if you ever sling a bag or purse, because the ability to throw your balance and posture off is significant and can really affect your ability to protect yourself. 5. Also, do NOT keep your firearm in your purse if it’s at all possible. If she had a firearm in her purse, it could not have helped her once the mugging started because she couldn’t have gotten to it. So keep your force multiplier on your person if at all possible!